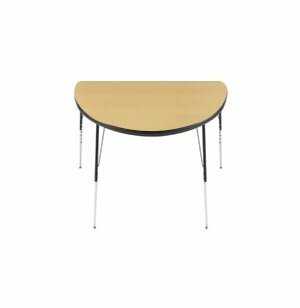 Group Study Adjustable Half Round Activity Table 48x24"
Our adjustable-height, half-round, group study tables will fit beautifully into your classroom. These strong, half circle tables are available in a variety of sizes and colors. The tabletops, made from high pressure laminate, are easy to wipe clean while resisting nicks, dents and scratches. 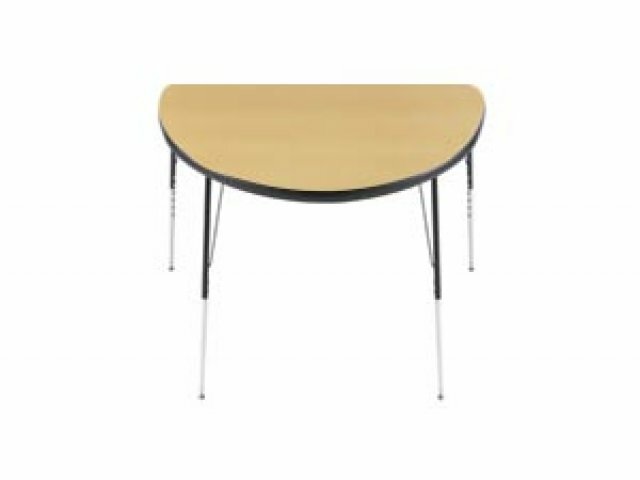 All of our half round tables are made with vinyl molding to prevent chipping, ensuring a safe and tidy classroom environment. Loosen the screw and slide insert in or out of the upper portion of the leg to desired height, then you tighten the allen screw to secure legs in place. Adjustable: Table legs adjust in 1" increments. Sturdy: 1.25" table legs are made of 18-gauge steel.